1. Solution to healing painful sunburns: Be Bolivian. Aloe Vera is not a luxury found in the country of Bolivia. Our guide had no sympathy for our burns and told us our skin was inferior to his. 2. Always carry a dinosaur figurine. 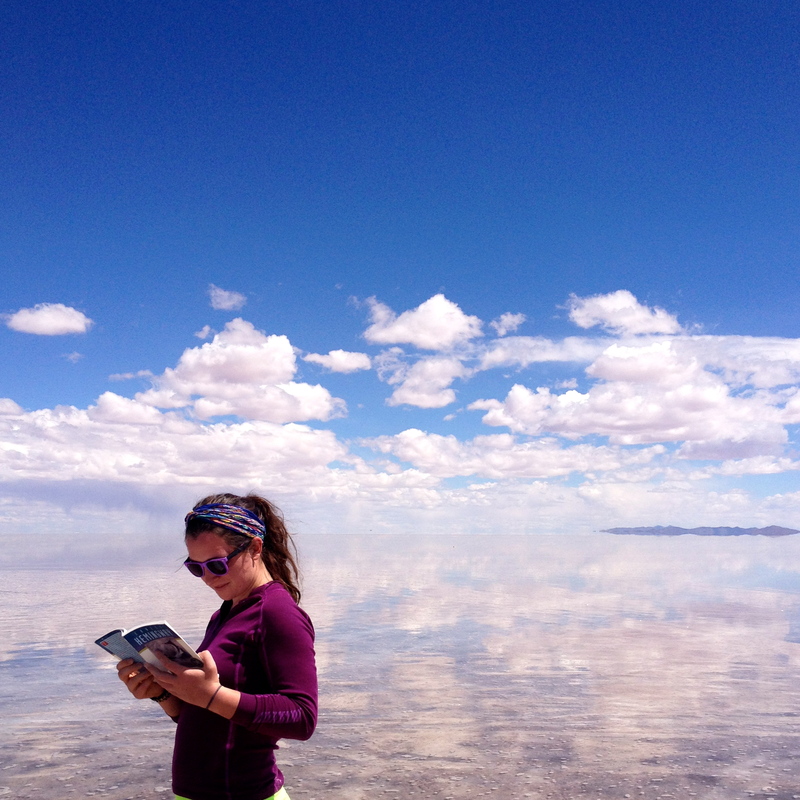 You never know when a childhood toy will be needed for an awesome photo (cough cough Salar de Uyuni cough cough). If you forget the toy, two beers, a can of Pringles, and a stuffed llama will suffice for props. 3. When in doubt: caminar y sacar las fotos. Jhonny (actual spelling) was our guide through Bolivia and spoke few words but at every stop reminded us to walk around and take pictures. Every single time. So, when in doubt, just start caminar-ing and sacar-ing. 4. Housing on your trip in Bolivia is usually guaranteed, but a roof and windows are not. Sometimes when you pull up to a “house” (loose use of the word) that is only partially built, its okay. Staying somewhere that resembles something out of the Texas Chainsaw Massacre is all part of the experience. 5. Heaven is actually a place on Earth. 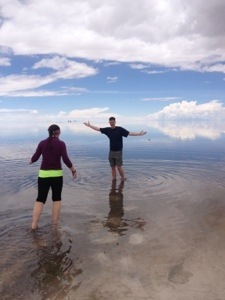 It’s called “Salar de Uyuni”. Google it. If you visit, remember to caminar y sacar las fotos. 6. A morning person is not simply a person who is forced to wake up in the morning. Morning people also have to enjoy the morning (which, occasionally, means 4:30 AM). If someone in your travel group immigrated to the US as a small child (looking at you, Yev) be prepared to explain American idioms on the trip. 7. Even the most renowned and impressive rock – “Arbol de Piedra”- is still a rock. When you are in 110 degree heat your desire to take pictures of rocks will decrease to none. 8. Vicuñas are fast. If you try to chase one down bear in mind that high altitudes and sunburns may hold you back. Work on your vicuña mating call to help attract them (see Julie for special lessons). 9. Sometimes nature will give you a glimpse into another form of heaven besides Salar de Uyuni in the form of aguas calientes (hot springs) in the mountains of Bolivia. Take this offering and accept that it may be the only poor excuse for a shower you have in a while. 10. Find your best natural lighting in photos (remember, while going through Bolivia you will do a lot of caminar-ing and sacar-ing las fotos). When taking photos, the hot Bolivian sun can be more of an enemy than an ally. In these moments, the only way you can really get that perfect lighting is by looking straight upwards (also known as the “find your spaceship” technique). 11. When preparing for a trip to South America, learn the word for “bottle opener” in Spanish. You will save time and looks of confusion as you explain over and over again that you need “una cosa para abrir una botella de vino”. 12. Additionally, meeting people at hostels can be the highlight of your travels, especially the things they can teach you. One very nice Frenchman proceeded to show us the proper way to open and pour wine. It put our collegiate drinking skills to shame. Yev also spilled the bottle of wine on Julie’s pajamas. Also, we do more than drink wine… Usually. 13. As Grant would say, “Pringles are mamma from heaven.” For everyone else who didn’t go to a religious high school, “mamma” is the food God gave the Jews from heaven (actually, don’t trust me on that, I am probably butchering the story). 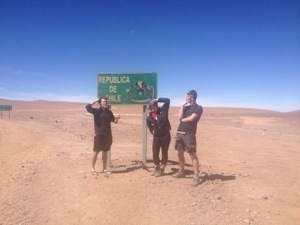 Be it pizza flavored, nacho cheese, or original, Pringles are a glorious food that got us through Bolivia. 14. Finally, last but not least, a red lagoon is not that much different from a green lagoon. Even though we give people different labels like we do with lagoons, we are really all the same. The biggest differences between us are the kinds of microbacteria we contain and our sulphur concentration. PS: Still writing from my iPhone. I am going to make a post when I get back to California full of pictures from Salar de Uyuni (it’s really out of this world). Also, Yev and Grant, thanks for being absolutely amazing travel buddies. I have so much love for the both of you and am so grateful you are on this trip with me.